Composer Mick Gordon is recruiting a “Heavy Metal Screamers” choir for an unspecified project that is highly likely to be, if not quite confirmed, Doom Eternal. “To the best of my knowledge, I don’t believe this has ever been done before. Therefore, here is an open invitation to anyone out there who wants to apply to join our Heavy Metal Choir. We’re looking for all types of screamers. Your level of experience doesn’t matter. We’re looking for all genders. As long as you’re over 18, it doesn’t matter how old you are. It’s not a competition – you’ll have to fund your own trip to Austin, Texas, during the first week in March 2019 – but if you’re selected, you will be paid (how much is not specified) and receive a credit. Interested? Head on over to Gordon’s application form and don’t forget to attach an “awesome” demo. 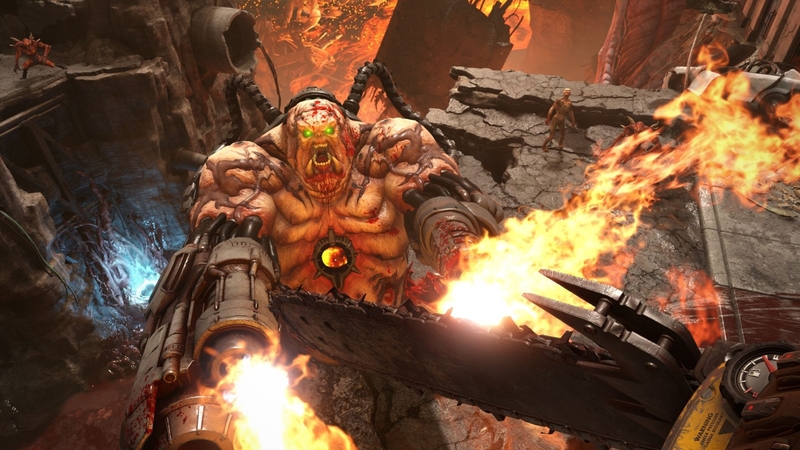 And to find out more about Doom Eternal, check out our interview with executive producer Marty Stratton and creative director Hugo Martin.